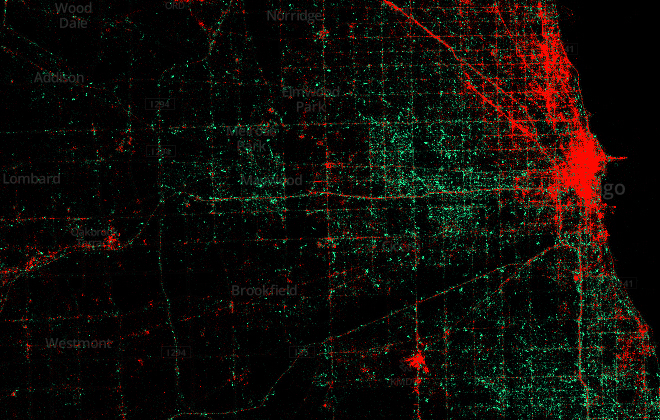 I saw this amazing tweet map of Chicago on Wired and thought I’d share it. The red are tweets from iPhones and the green are from Android phones. Amazing data visualization! #BigBoulder 2014: it’s all about context!